**In order to use a WindBeater on a fireplace flue, you must choose a size that has a cross-sectional area appropriate for the fireplace. This uniquely designed chimney cap is an economical way to prevent downdrafts and is air cooled. 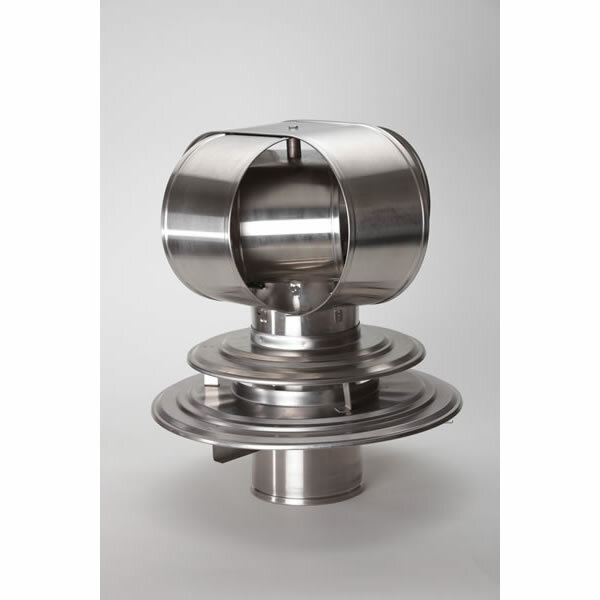 The cap is made of 24-gauge stainless steel, includes an adaptor, and is specifically designed for use with relining pipe and sealed-end factory-built chimneys. It will fit 6" round inside flue size and has a 28.3" cross-sectional area. Use of this cap will not solve draft problems that are unrelated to wind. If you want to use a WindBeater on a fireplace flue, choose a size with a cross-sectional area that is appropriate for the fireplace.